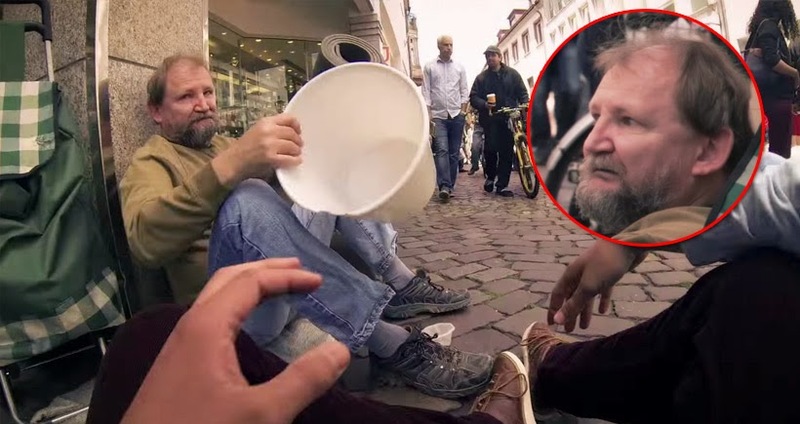 A German student was walking in the street and noticed a homeless man trying to get some money from the pedestrians. Unfortunately his technique was not very successful so the student asked him to borrow his bucket. At first, the homeless man was hesitant but he agreed to… it was the choice to make because what happens next will burst you into tears!